Discussion in 'Itza Gallery of Fine Arts' started by The Red Devil, Aug 22, 2013. 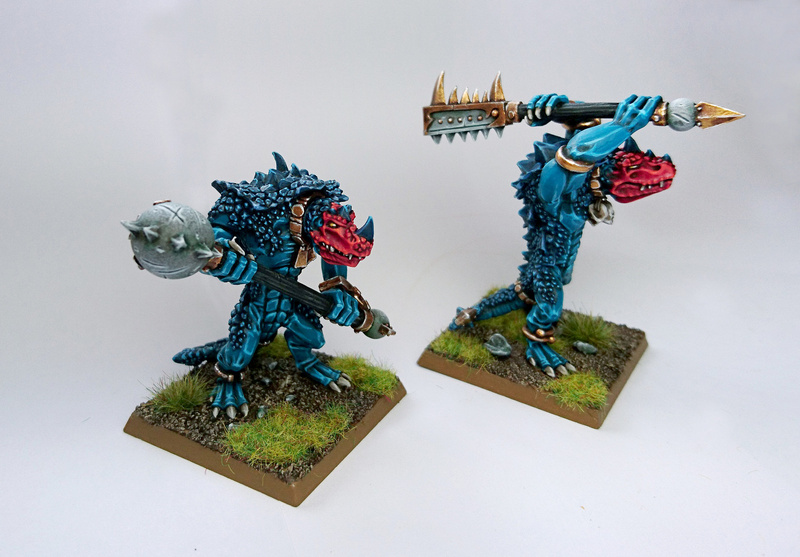 How can i have theese Kroxigors? Ritual and Huanchi like this. Leave a request here, Matt aka Woogity may make some in the future, be warned the waiting list is long. Or win a set in the Golden Serpent competition! Ritual, Bracnos, Huanchi and 1 other person like this. Huanchi use link in post above yours. I am in love with this model. 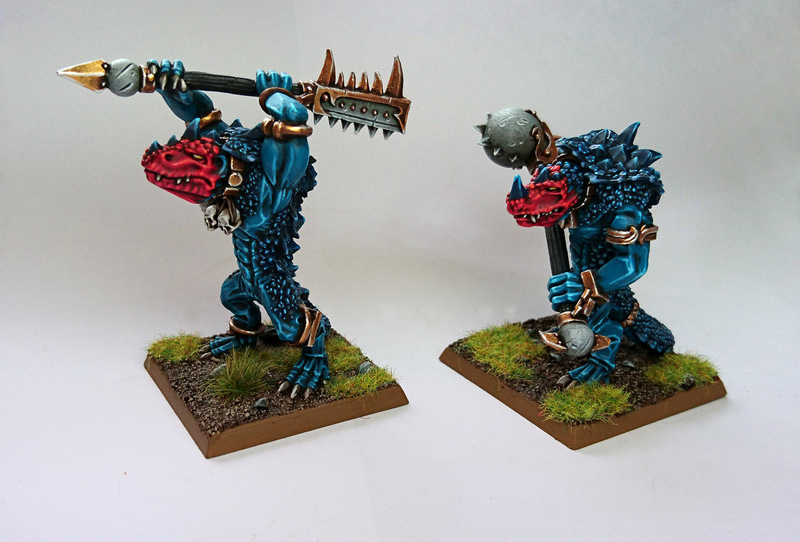 And I'm trying to track them down for my own lizardman army. 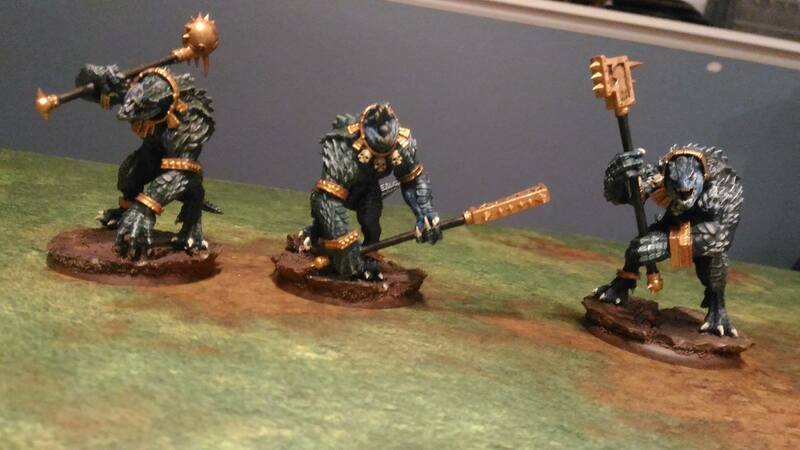 I personally don't like the GW models either. And these have a very bestial feel. Hot damn, I wish there was a way I could 'like' some of these twice. I love seeing everybody's epic paint schemes! 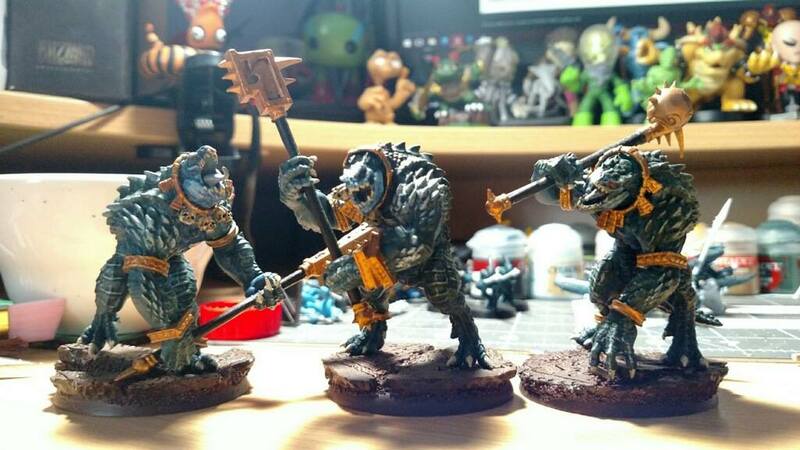 I just finished my first kroxigor yesterday, and he's shaping up pretty well for my theme. The krox are sort of halfway between my saurus units and my behemoths in scheme - the main skin sections and pale underbelly of the infantry, but with the heated scales of the behemoths. Sunlight was a bit duller today for the pictures, but it's better than it was last night. Slannta's Little Helper, Ritual, Warden and 9 others like this. tom ndege, Slannta's Little Helper, Ritual and 15 others like this. Verry nice! What colours did you use? 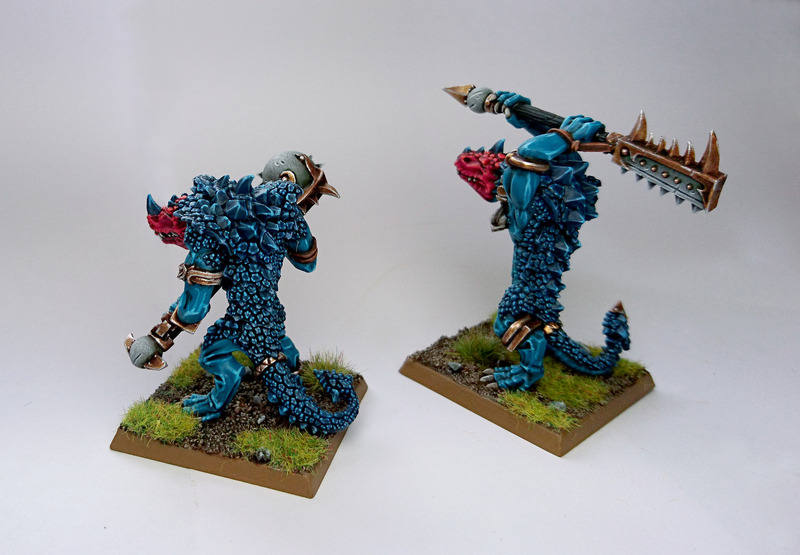 What colours did you use for this model? Ritual and milman like this. What about his belly and what is that bright blue? Slannta's Little Helper, Ritual, Warden and 4 others like this. Ritual and Bigb like this. Slannta's Little Helper, Ritual, Warden and 5 others like this. CallThatACarrot, Burwinkelito, Slannta's Little Helper and 10 others like this. Maybe that's why the pictures aren't loading properly? Ritual, tom ndege, Bowser and 1 other person like this. I actually finished painting a model this year... oh my! Chicken Lips, Slannta's Little Helper, Bigb and 8 others like this.